Tuesday, December 06, 2011 | 5:30 p.m. – 7:00 p.m. The average American income is 10 percent greater today than 30 years ago, yet the debt burden of American households has more than doubled over the same time period. How should a person of faith deal with the pressures of a consumer society? At what point does materialism begin to corrupt? How does our faith influence our pursuit of material prosperity? In a keynote address, the Orthodox Church in America’s Metropolitan Jonah, Archbishop of Washington and Metropolitan of All America and Canada, addressed these questions and more, providing insight into how persons of faith might deal with the challenges brought by the consumer age. For more information, please contact Greg Lane at greg.lane@aei.org, 202.862.4879. For media inquiries, please contact Véronique Rodman at vrodman@aei.org, 202.862.4871. 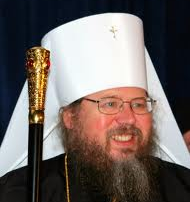 Metropolitan Jonah, born James Paffhausen, is the primate of the Orthodox Church in America (OCA). 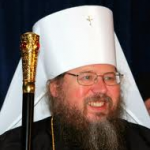 On Wednesday, November 12, 2008, he was elected Archbishop of Washington and New York and Metropolitan of All America and Canada at the 15th All-American Council of the Orthodox Church in America, in Pittsburgh, PA. He was baptized in the Episcopal Church, making him the first convert to the Orthodox faith to be elected as the OCA’s primate. He was received into the Orthodox Church in 1978 while studying at the University of California, San Diego, before transferring to the University of California, Santa Cruz. After spending time in Russia exploring the monastic life, Fr. Jonah was blessed to become a priestmonk by the Elder Kyrill at Trinity-St. Sergius Lavra. He was ordained to the diaconate and priesthood in 1994 and in 1995 was tonsure to monastic rank at St. Tikhon’s Monastery, South Canaan, Pennsylvania, having received the name Jonah. Upon returning to California, Fr. Jonah established a monastery under the patronage of St. John of Shanghai and San Francisco located near Redding, California. Fr. Gregory Jensen is a social scientist specializing in religion and personality theory and a priest of the Archdiocese of Washington, D.C. (Orthodox Church in America). He blogs at Koinonia and the American Orthodox Institute. Eric Teetsel is program manager of Values & Capitalism, an AEI initiative to engage college students in a conversation about the coherence of free enterprise and Christian faith. Before coming to AEI, he served in the student life departments at Azusa Pacific University and Colorado Christian University.